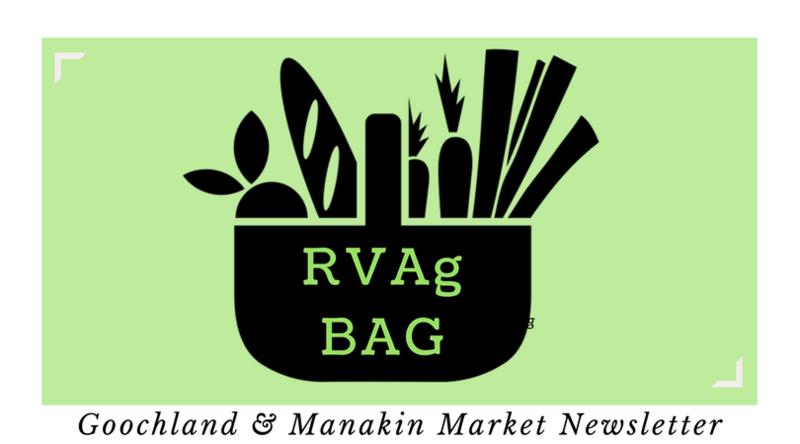 Good evening from RVAg Bag - the Manakin Market and Goochland Farmers Market newsletter! Saturday, May 19th and Tuesday, May 22nd! We hope you'll join us to embrace our local vendors and entrepreneurs. Stock up mid-week with your essential grocery needs - produce, eggs, grass-fed beef, pork & sausage, baked goods, and more! The Goochland Farmers Market is located in a beautiful, sunny field surrounded by lots of greenery and trees. We are located at 1889 Sandy Hook Road, Goochland, VA 23063. The location is one block south of Fairground Road, across from the county parking lot. The Sandtopia Food Truck is joining us weekly! Open Tues­days 3:30-7:00pm, May to September. Make sure to check out our Vendors and Activities by clicking on the map below. Scroll down to the bottom of our website to see the map. We had an exciting day at Manakin last week with lots of new faces at the market!! This week we will have live music played by Tony Fauntleroy. Come jam out with us while shopping local! Located at 68 Broad Street Road in Manakin-Sabot, just five minutes west of Short Pump. Pick up lunch at Grandpa Eddie's Food Truck and a drink from The Watering Hole! Open Saturdays 9am–1pm, May to October. 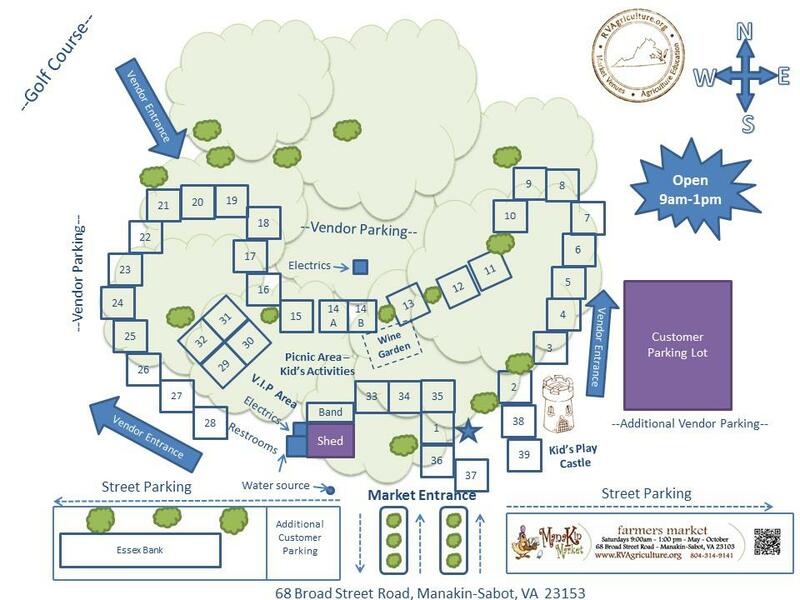 Make sure to check out our Vendors, Special Events and Activities by clicking on the map below. Scroll down to the bottom of our website to see the map. 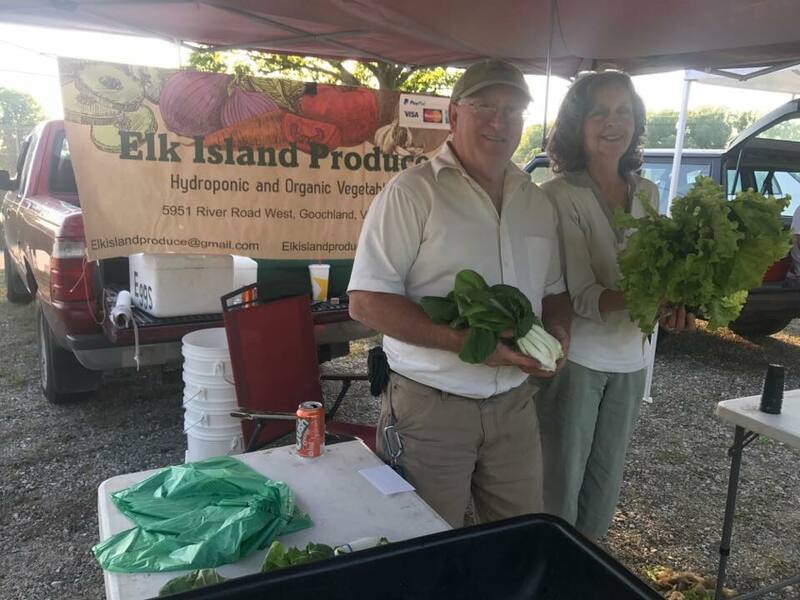 This is Tim and Janice, owners of Elk Island Produce - an organic and hydroponics farm in Goochland, VA. Tim worked as a contractor for 30 years until his job “stopped being fun.” After that, Tim and Janice decided to start the hydroponics farm. Tim has been doing research on hydroponics for many years and finds this ancient practice quite fascinating! 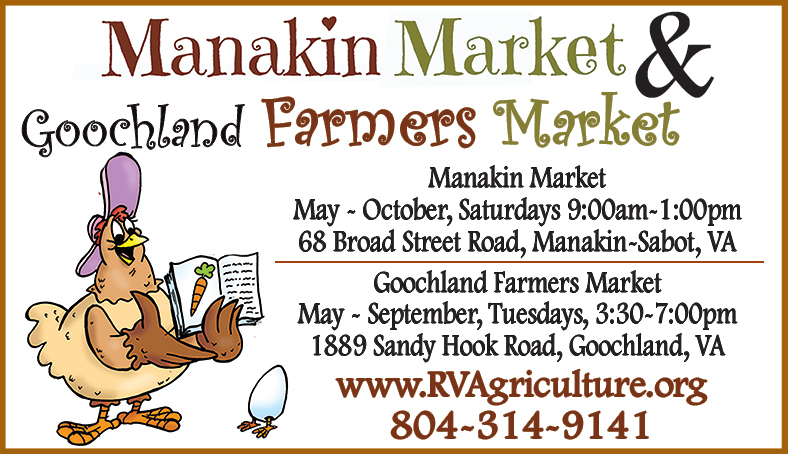 Come out to the Manakin and Goochland farmers markets to meet your lovely hydroponic farmers, Tim and Janice! We are incredibly grateful for our market sponsorships. Join RVAg's Sponsor Crop Circle of Sponsors! Our markets are run by paid staff and governed by an all-volunteer board. We operate without any county, state or federal funding. We rely solely on vendors fees, sponsorships and fundraising efforts to run our seasonal and pop-up markets and low cost/no-cost educational and SNAP programs. Find out how your company or organization can benefit by supporting the mission of RVAg in 2018! Click here for details, or contact Lisa Dearden for more information. Buy fresh, local foods with SNAP and use our SNAP It Up! 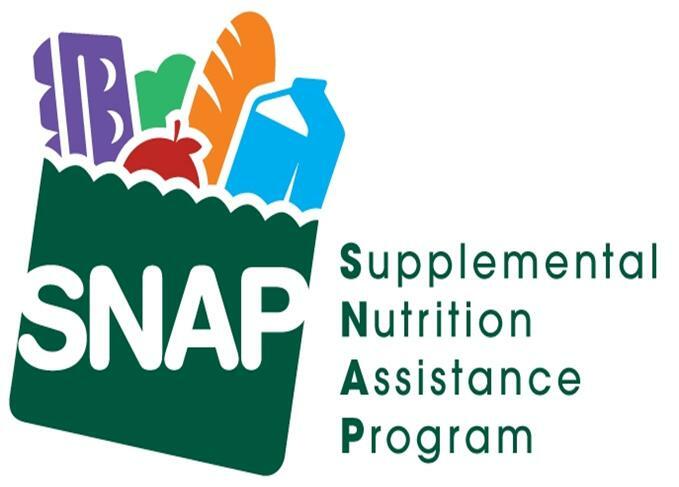 Double SNAP vouchers to double your dollars for fruits and vegetables! It's easy - simply swipe your EBT card and get up to $25 per day in matching dollars for FREE! Visit the Market Info Booth, while supplies last. Copyright © 2018 RVAg, Inc., All rights reserved.